Cupcake rattery is based in Truro, Cornwall. My aim is to breed healthy rats with good temperaments for both pet and show. 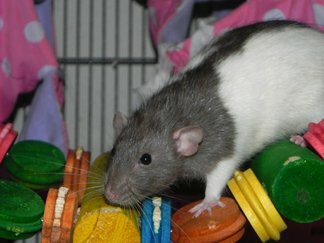 I got my first pet rats in April 2008 and started breeding in June 2013. I currently breed chinchilla and related varieties, I may occasionally have the odd litter to help out other breeders or the rat fancy. I am not actively breeding for dumbo rats although there are slim chances that they may crop up in my lines. I am a member of the NFRS (National Fancy Rat Society). I am active on the show circuit and can often be found at shows. I am currently working towards my stud name with the NFRS and I am on the judges training programme. 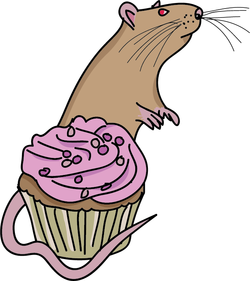 I use the prefix 'Cupcake' to identify the rats that I have bred. My rattery is named after a rat of mine called 'Cupcake' who held a very special part in my life.